Robin Hood's Bay near Whitby is a great place for fishing and fossil hunting or simply enjoying views on a rugged coast line. This Spring could be the time for a first time visit and I have to tell you, it is well worth it.. Robin Hood's Bay is great for fossil hunting or beach combing too - this part of the Jurassic coast has a special wild feel. I first saw Robin Hoods Bay in 1983 when I went with a friend to nearby Whitby. We went sea fishing, enjoyed evening sessions at Whitby Folk Festival and put on stout new boots for the cliff top walk to Robin Hoods Bay. After many, many ups and downs over stiles en route to Robin Hood's Bay and my feet hurt like they never have before or since, but I fell in love with Robin Hoods Bay then and there! 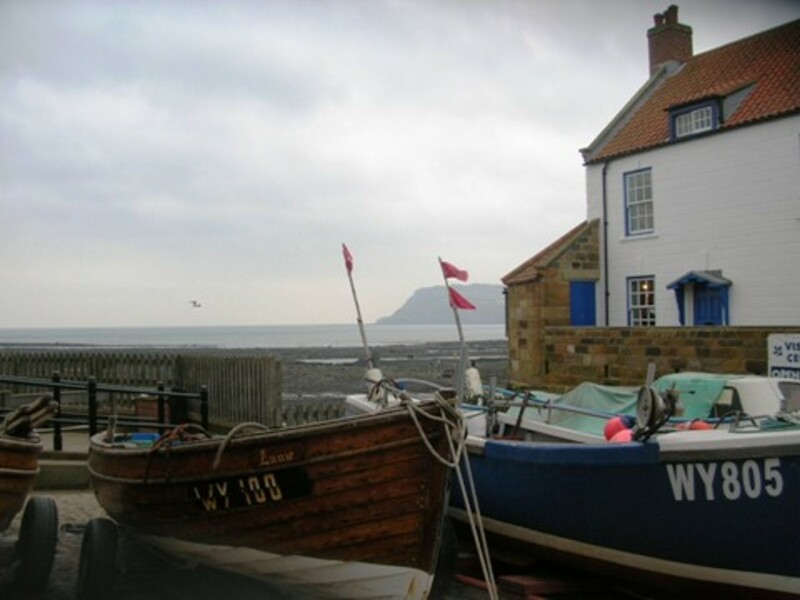 Whether your interest is in fossil hunting, folk singing or simply being at a peaceful and largely unspoilt seaside location, Robin Hoods Bay should be on your "must see" list of great places to visit in Yorkshire. Photo credit - all photos used here are my own work and should not be copied. Where is Robin Hood's Bay? Robin Hood's bay is a picturesque fishing village five miles South of Whitby on the coast of North Yorkshire. There are no records of Robin Hood's Bay until the sixteenth century. 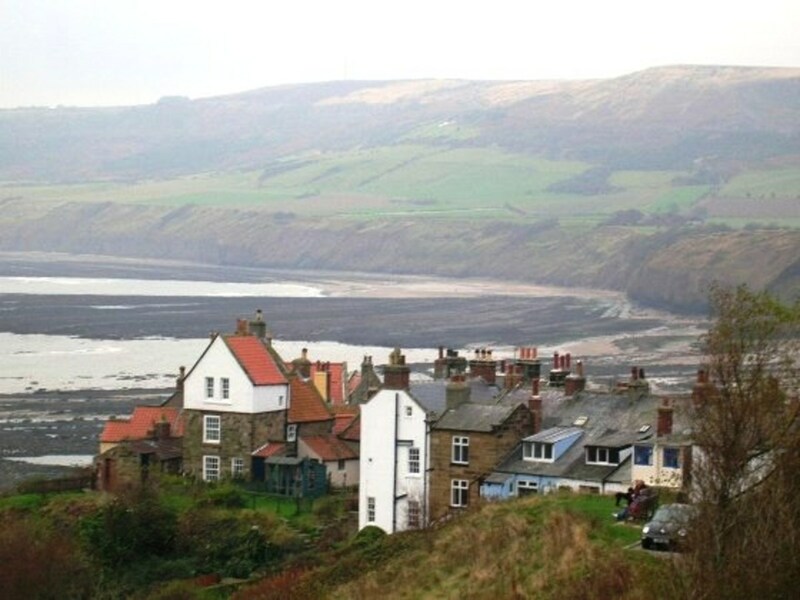 Robin Hoods Bay is sometimes called 'Baytown' by locals. The origins of the name are unknown but it is doubtful if Robin Hood was ever in the vicinity despite speculation. Bronze age burial mounds a mile to the South are called 'Robin Hood's Butts'. Ravenscar was a Roman Signal Station, so Romans may have spent time in the Bay. Although fishing is no longer the main industry in Robin Hood's Bay, it was once a more prosperous and important fishing centre than Whitby. In 1538 many people moved to "Baytown" from the inland village of Raw, as the threat of a Danish invasion lessened. 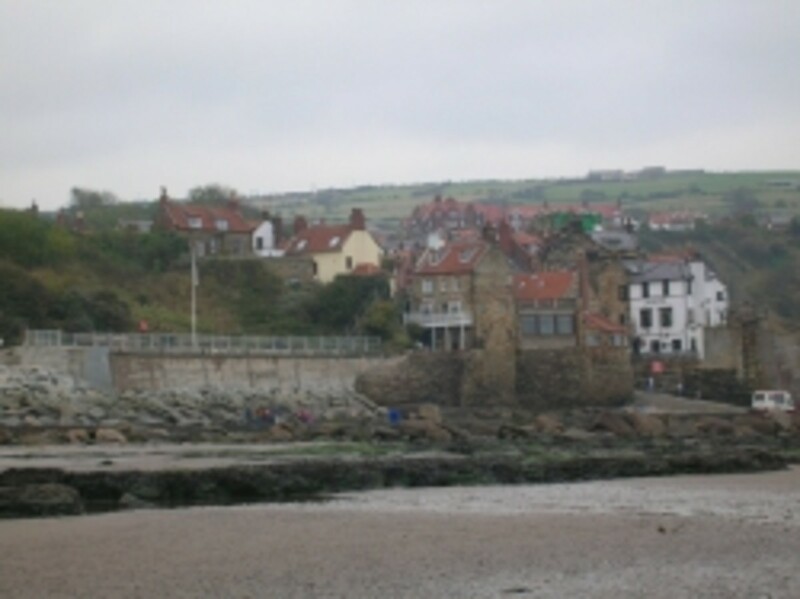 In the eighteenth and nineteenth centuries Robin Hoods Bay thrived. In the 1820s there were 130 fishermen sailing 35 cobles and 5 large herring boats. Women baited lines and barrelled fish while the boys kept busy mending nets and making lobster pots. The young seaman were renowned for their seafaring abilities and were often the target of press gangs. The gangs would be driven away by women wielding rolling pins! Fishing in 'Baytown' declined because the lack of a safe harbour prevented the Bay becoming a viable port. The port of Whitby took over as base for fishing. Sadly by 1920 there were only two fishing families left. Robin Hood's Bay is a maze of tiny streets, with supposedly a network of subterranean passages. 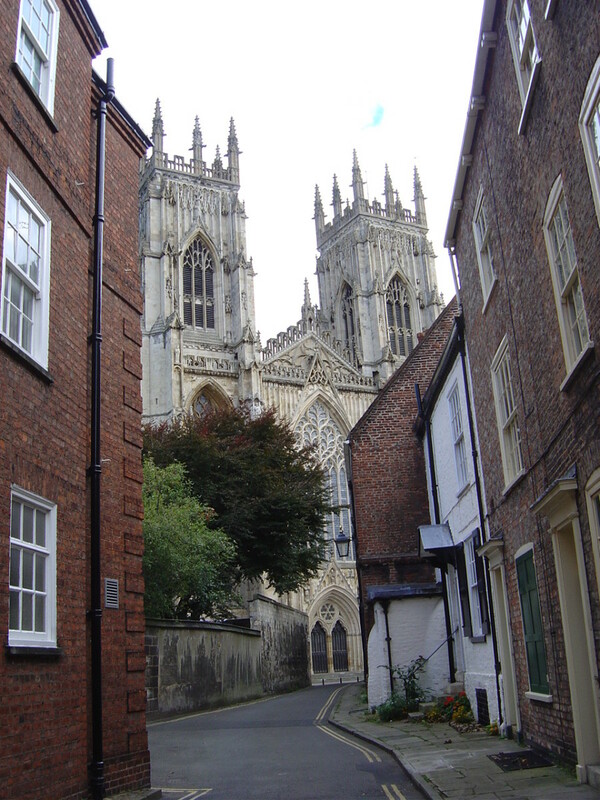 Houses and inns are known to have connecting cellars and cupboards, and it was said that 'a bale of silk could pass from the bottom of the village to the top without seeing daylight'. 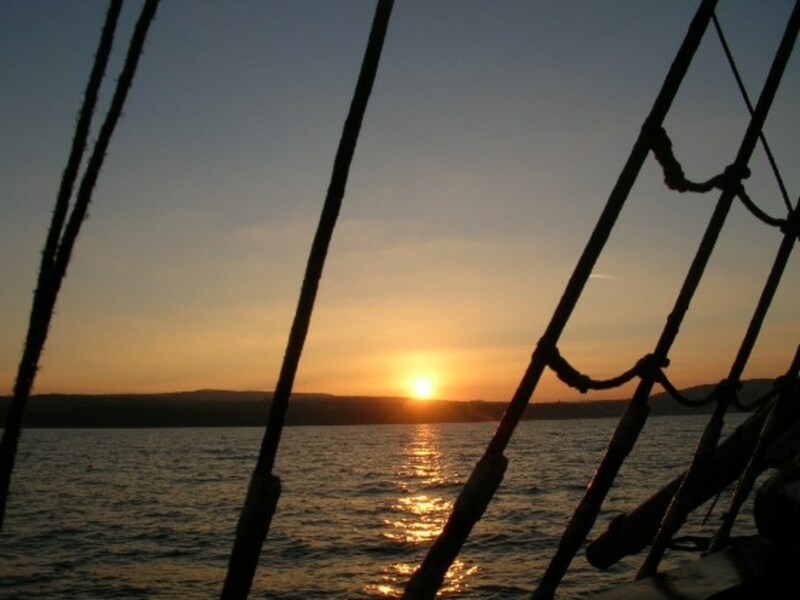 Smuggling was rife during the eighteenth and early nineteenth centuries and nowhere more so than Robin Hood's Bay. The natural isolation of the bay made it an ideal location and local squires financed much of the smuggling. They ran the risk of being hanged but obviously thought it worth the risk! In 1856, Whitby based coastguards were given responsibility for catching smugglers. However, Robin Hood's Bay was a tough assignment for the excisemen and dragoons had to be brought in. In the end a reduction in excise duties caused smuggling to decline! And it be pirate day!!! It is a reality isn't it that whenever governments tax "luxuries", people look to avoid paying and pirates and smugglers risked their lives to do just that in centuries past. In 1780 fierce gales and a raging sea caused many of the King Street cottages to collapse into the sea. Just over a decade later part of Park Road was also lost to the strong stormy ocean. In 1975 a strong sea wall was built to protect the village. Robin Hood's Bay now boasts the highest sea wall in Britain Construction cost 578,000 and it measures 500 feet long and 40 feet high. Wrecks were common too. A plaque records that a Brig named "Visitor" was run aground on 18 January 1881 during a violent storm. The sea was so rough that the small lifeboat could not be launched. In order to save the crew, the lifeboat from Whitby had to pulled overland by 18 horses while 200 men cleared the 7 foot snowdrifts in its path. Miraculously, only two hours after leaving Whitby, it was launched safely and the entire crew were saved! 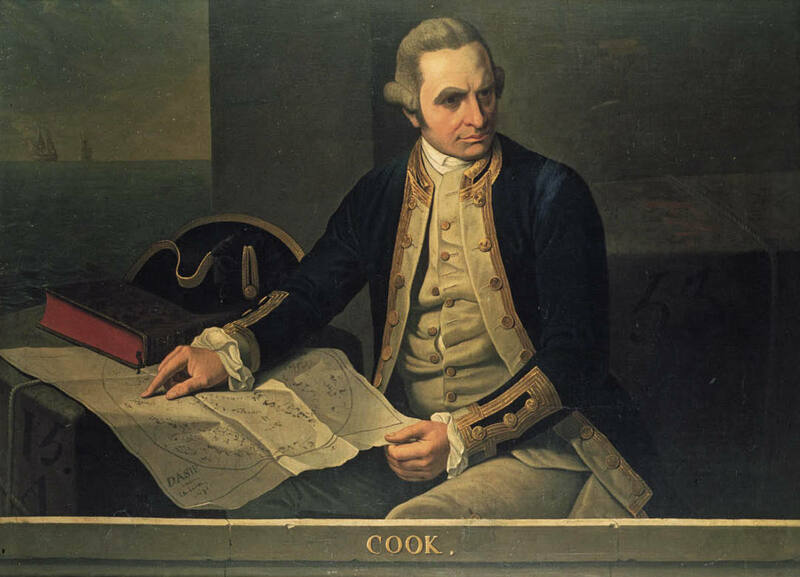 Here is a selection of Disaster and Shipwreck tales. My last visit to Robin Hood's Bay was sadly only a day trip, but many people were out and about on the foreshore beach combing, playing with kelp and breaking open rock.... Yes, breaking open rocks.... in hopes of finding a fossil! Robin Hood's Bay yield good examples of fossils and is famous for fossil hunting and for the large number of fossils, including fossil teeth, found on its beach. Those keen on fossil hunting will know that a long stretch of Jurassic Dinosaur Coast runs from Saltburn-by-the-Sea and past Scarborough. Although eclipsed by its famous southern cousin, this is a rich hunting ground for fossils. 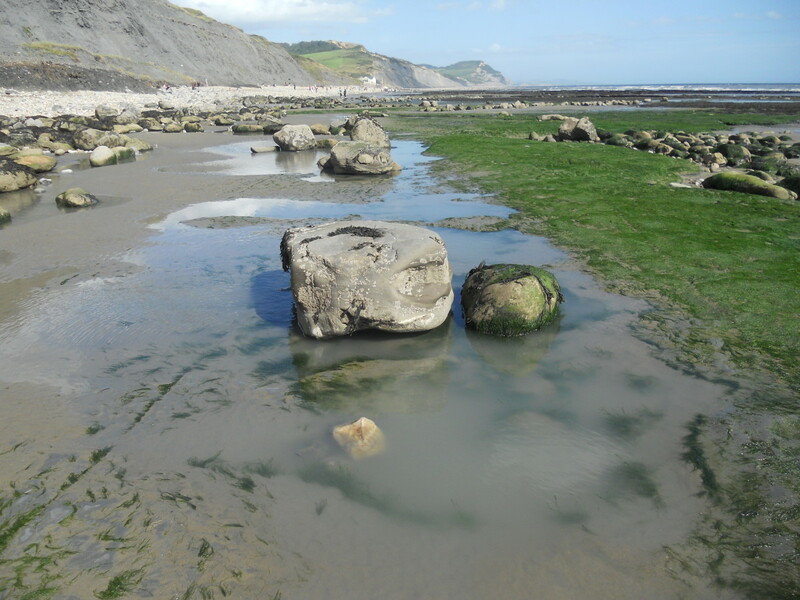 Robin Hood's Bay at low tide boasts 550 metres of exposed sea floor for fossil hunting. The Dinosaur Coast is a collaboration between Scarborough Museums Trust, North York Moors National Park, Natural England and Whitby Museum. This year events are running during school holidays, starting in May. 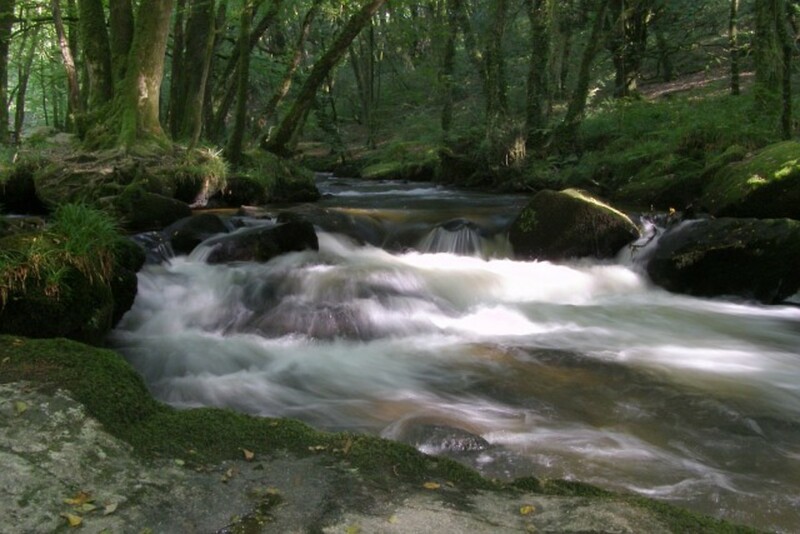 Family Fun Days, Fossil Hunts and Evening Strolls will feature geology collections to explore the 200 million year history of the area. Robin Hood's Bay yields excellent ammonites but you need to work for them! 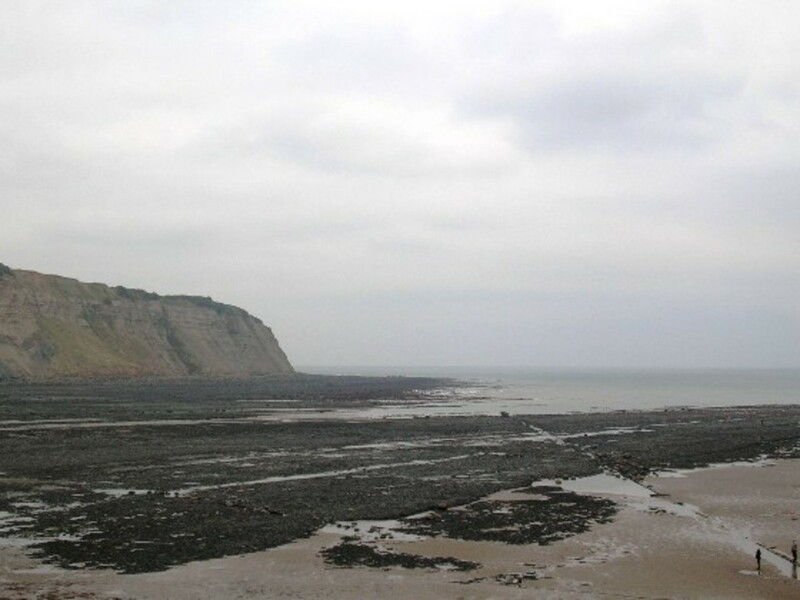 It is one of the first places fossil hunters come on the Yorkshire Coast, but many return with nothing, not knowing where to look. The middle of the bay is boulder clay but either side can be quite productive. The best area to collect from is the North side but this location is dangerous to access so unsuitable for young children to visit. Most fossils can be found within nodules on the foreshore or even loose. 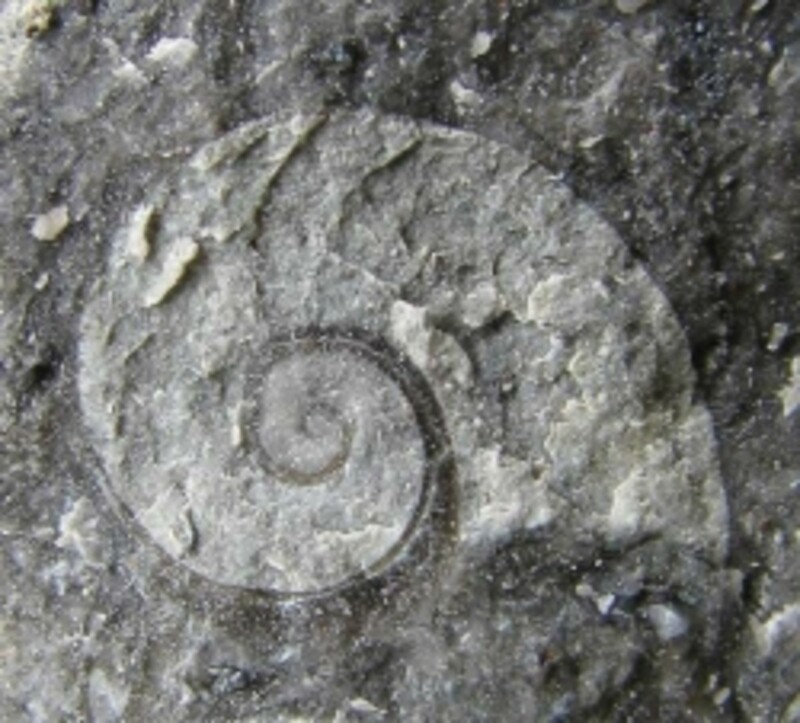 Fossils are also commonly found on the scree slopes of the cliff or in rocks. Parking is possible at the top of the cliff and a footpath leads down to the beach and there are no restrictions at this location. Common sense should always be used when fossil hunting. Make sure you are aware of tide times because this part of the coastline has very dangerous tidal conditions. You must return before the tide turns! Rock falls are very common so hard hats are recommended and staying away from the base of the cliffs! In 1885 the railway came. 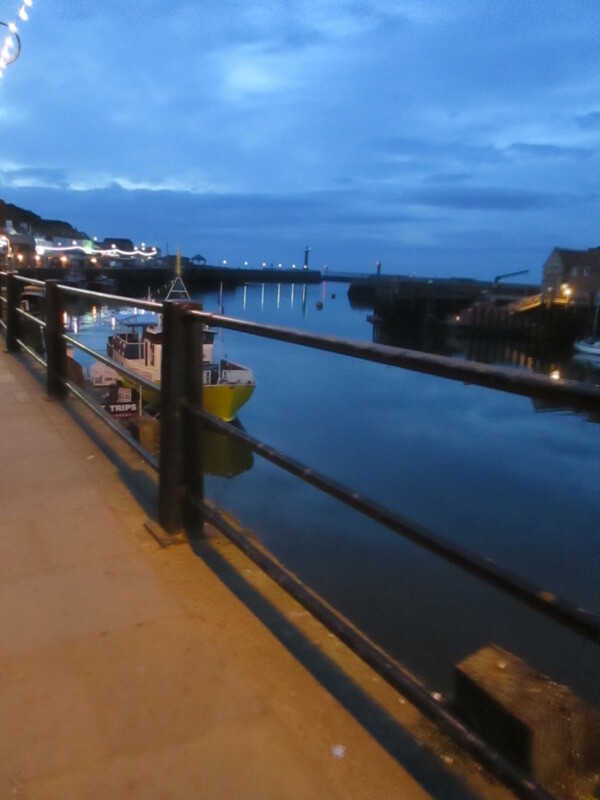 It connected Robin Hood's Bay with surrounding villages and offered new markets for local produce. 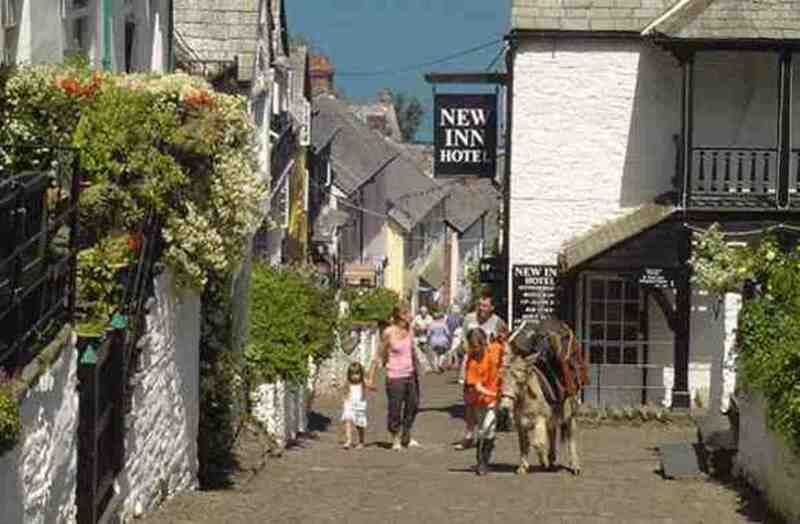 It also introduced the village to the tourist industry. When the Whitby to Scarborough line closed in 1965 one of the most scenic routes in Britain was sadly lost. Today interest in fishing is reviving and Robin Hood's Bay now has a reputation as one of the best Northern crab grounds. Leo Walmsley, the Yorkshire novelist, spent much of his childhood in the village from 1894 to 1913. He was educated in the schoolroom of the old Wesleyan Chapel. 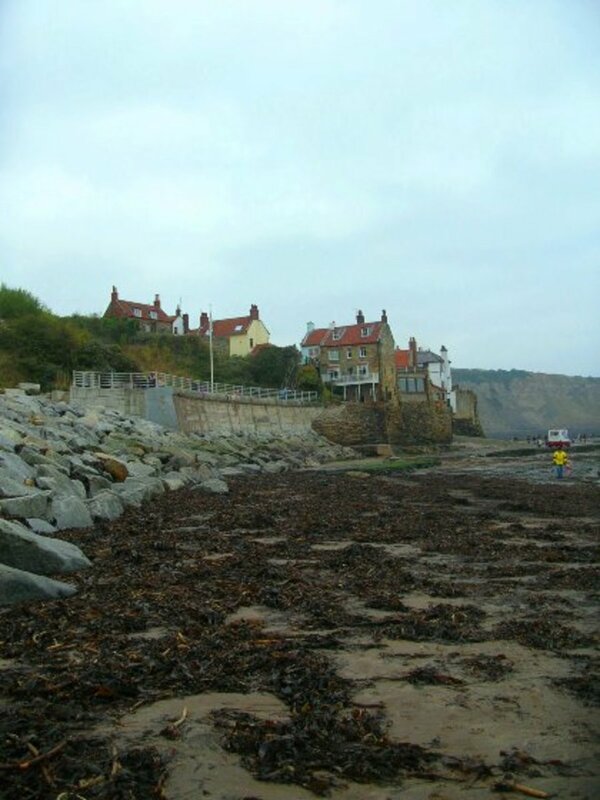 He made Robin Hood's Bay the setting for the Bramblewick books. He wrote two books about his childhood, 'Foreigners' and 'Three Fevers' which was made into a film 'The Turn of the Tide'. His books vividly describe the village and surrounding area. Robin Hood's Bay is a poem by children's poet Michael Rosen. Dame Ethel Walker made one of the houses her art studio and other famous people have made the town their home. Robin Hood's Bay is now a thriving community, most of the town's income now deriving from tourism, and every year thousands of visitors discover its ancient charm and beautiful location. The Bayfair newspaper contains news and local information. The Bay Broadband Co-operative provides wireless internet access for visitors all around the town. Robin Hood's Bay Folk Club meets every Friday Evening in the Dolphin Inn on King Street in the old village and the local tradition of music and singing alive. It starts between 8.30 and 9.00 p.m. and is free. A raffle is run to raise funds for guest artists. 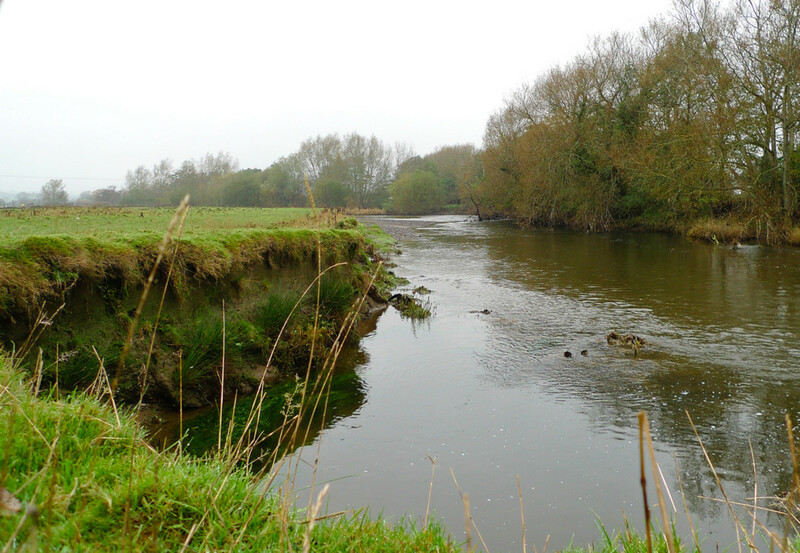 What is the longest river in England? Do you love Robin Hood's Bay? If so, tell us your experiences! I absolutely love it. I've had many a pint at the pub there. I was there yesterday! 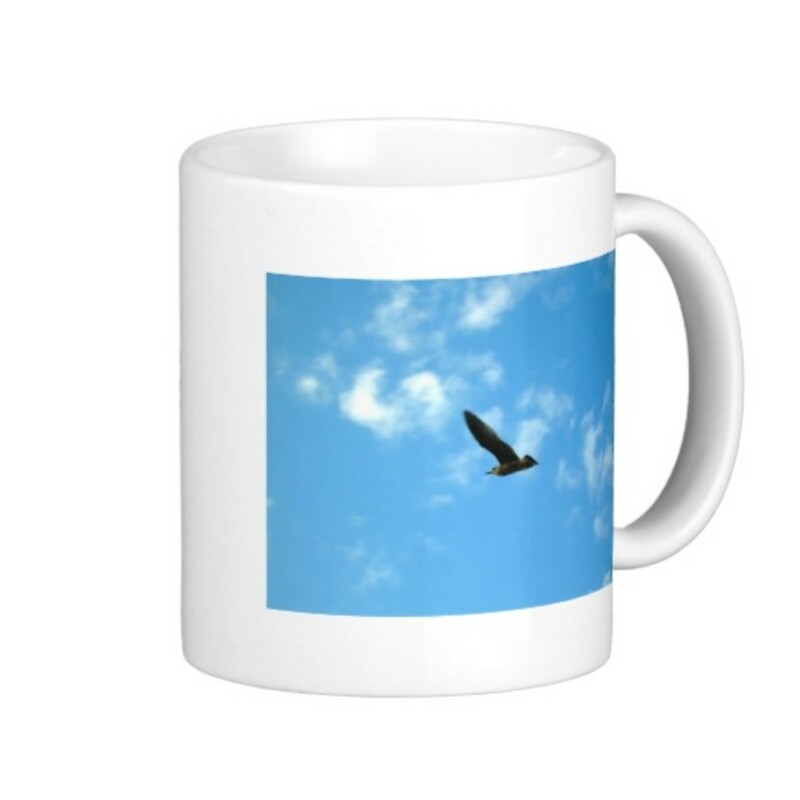 The sky was blue, the sea calm...wonderful! Nice article! I wish I was brave enough to get on a plane to visit! 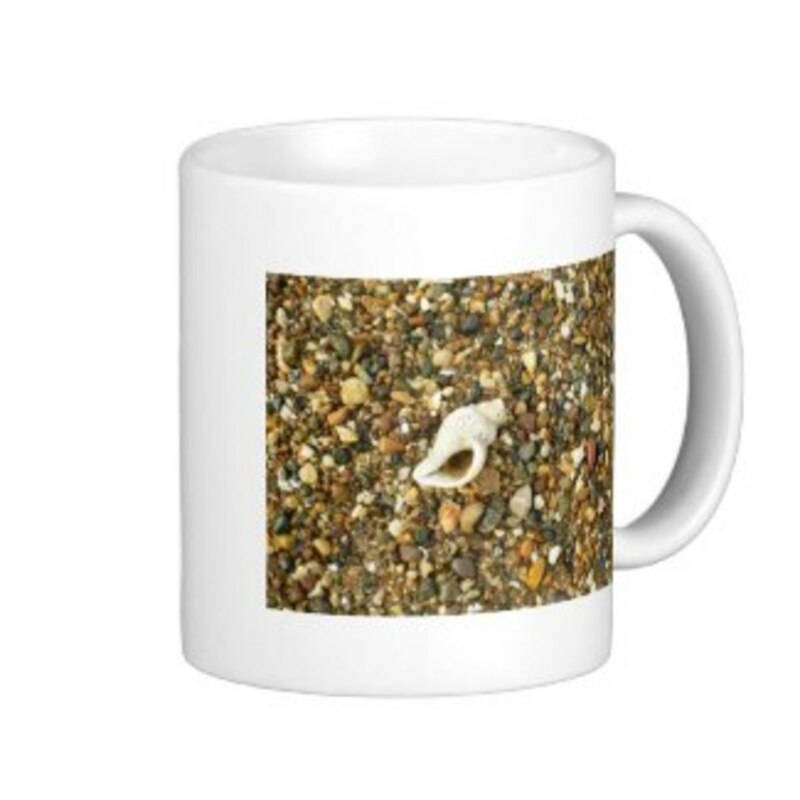 Lensrolling to my page about the Fick Fossil Museum. Mysteriously intriguing, 'a bale of silk could pass from the bottom of the village to the top without seeing daylight', to think of underground passageways and pass-through cupboards. I LOVE your pictures too. Great lens! You just added Robin Hood's bay to my list of places I'd love to visit. I admit that you had me at 'fossils' anyway.